Most great achievements come with the support of a strong community. As technology professionals, it is incredibly important to build strong networks with our peers as entrepreneurs and we are well on our way to building GBx to be the most valuable community in the Bay Area for British entrepreneurs. When talent and passion meet in a strong community, magic can happen. A network of innovative, ambitious people can inspire each other to surpass their potential, and make impactful changes in their industries, and the world. Who you have in your life directly influences what you can create with your life’s energy. While building my company, Trulia, I often reached out to trusted individuals in my extended network for advice on important decisions I was making for my business, and insights on how to navigate complex markets and economic environments. Having a network of talented peers is invaluable as an entrepreneur, and I wish I would have had a community as vibrant as GBx during my early years in the Bay Area. Thus, it’s been so rewarding to to see the GBx community grow and flourish from its beginnings and see the incredible connections that have been made already. I’m also fortunate to continue to create a strong community as an investor with an investment thesis that is entirely centered on network effects as an early stage venture capital investor with NFX. We invest in companies with emerging network effects the characteristic that creates the most value and defensibility in technology companies today. We also highly value creating deep connections among our portfolio companies by networking them together, as we have seen the numerous benefits it brings to their success. The best way to learn and excel I’ve seen is through connecting with peers to share learnings. For all of these reasons, I have come to deeply value my involvement with the GBx community. Engaging with the brilliant individuals that have become a part of the community continually inspires me as an entrepreneur and brings fresh perspectives to my current role as an investor. We would be delighted to grow our community, so please refer other Brits to the GBx application via Kate Dutton. 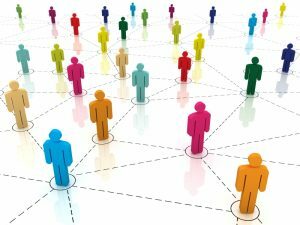 Strengthen your connections within our community at our upcoming events, or reach out to other members in our GBx Member’s Area. I’m happy to connect at future events. I’m excited at the vibrant community we’re building with GBx and how it will grow in the future.